At this time of year, when the sun is out, it’s almost unbearable to not spend time outdoors. Creating an extension that’s linked to your house is the ideal way to enjoy the garden while keeping all your creature comforts. An open extension to your house, like a terrace or patio, can enhance your sense of wellbeing, offering you a relaxing way to spend time outside while still being connected to what’s going on inside: the perfect way to mix the personality of the garden with the charm of the home. But to truly open up your space and make your house feel larger, you need to link the indoors and the outdoors and create a place where shapes, textures, colors, and materials all seamlessly blend together. And it’s easier than you think! 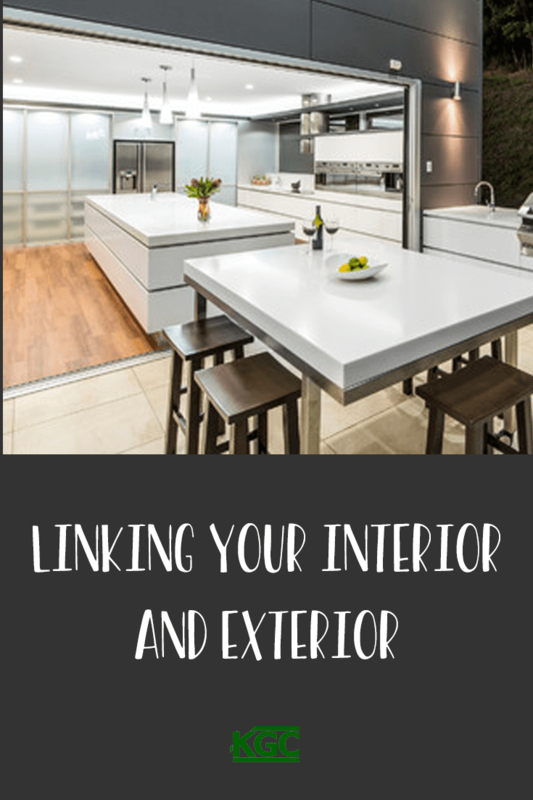 Linking your exterior and interior with a consistent look will help you make the most of your garden, but it will also expand your space, so you can enjoy it and entertain all through the summer. You can do it even if you have a small garden. It can be as simple as opening up a wall or expanding the windows, letting the light in, and removing any barriers that block the line of sight to the garden. With a bigger budget, you can create an outdoor patio – but place it in the areas where you entertain, like the kitchen or dining room, so you can easily move from inside to outside. Consider installing French doors or floor-to-ceiling glass to make the walls disappear; this will let in far more light than a window. 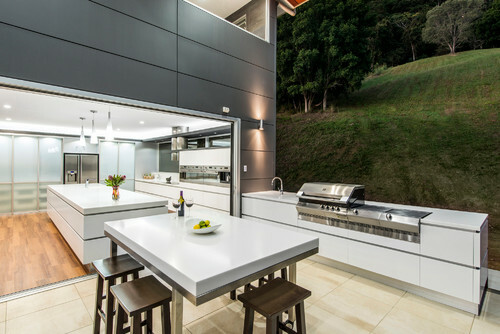 With the view open, you can then extend your décor, flooring, furniture, and color schemes to create a beautiful, open-plan flow between your indoor and outdoor space. It’s not always sunny in, well, Portland… so for areas like ours that can have unpredictable weather in the summer, extend your roof to protect your patio and space from the rain. 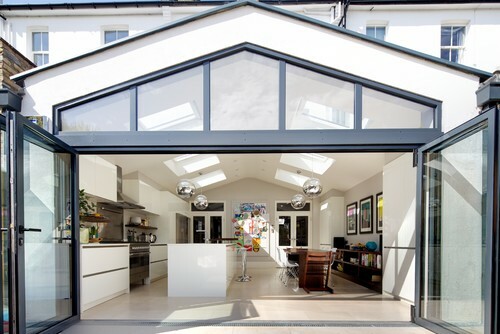 This way, you can still enjoy being outside or leaving your patio doors wide open without fear of getting wet. You’ll be surprised at how many rainy days can still be enjoyed from the shelter of your roofed patio. 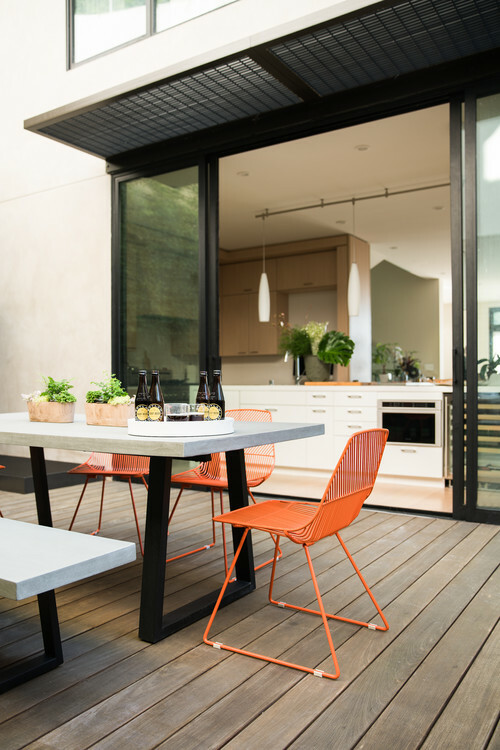 Whether you’re creating a large patio outside, or simple adding a few bits of furniture to your garden, linking the interior and exterior living space is important. 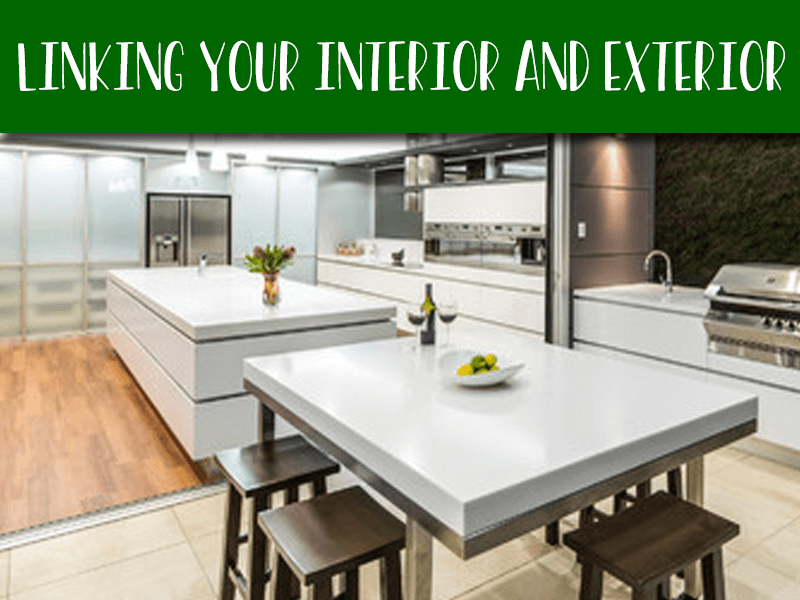 You can do this by matching design elements like furniture, materials, flooring, décor, and color schemes. This will make the indoor and outdoor feel as if it’s all one large room. For example, you can extend the same flooring of the kitchen outside to the deck (if it’s wood) or patio (if it’s tiles). If you have brick on your exterior wall, why not bring it indoors and adding exposed brick as a section of the interior room to link the two? Or you could go low-budget and simply use similar design styles and color schemes for furnishings and furniture for your outdoor area. 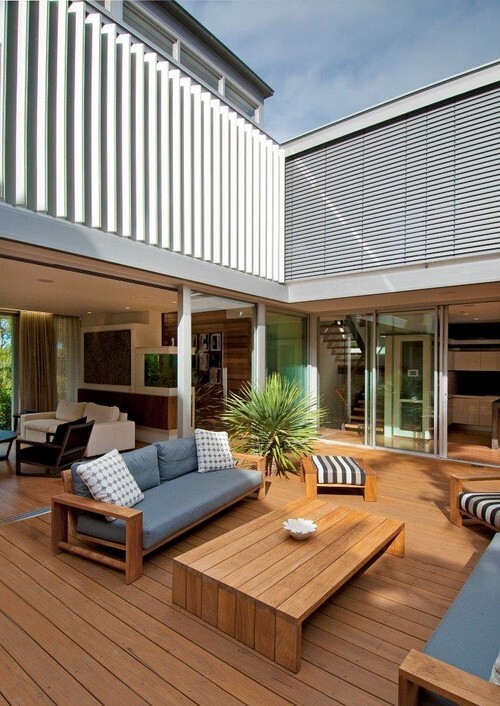 It’ll feel like the outside space is part of your house, rather than simply an afterthought. There are lots of ways you can creatively bring the outdoors in (or the indoors out! ), from opening walls with patio windows and sheltered roofing to extending the indoor flooring right through to your garden and matching furniture and simple decorative items from the house. Inspired? Let us know what ways you’re linking your indoors and outdoors! Keith Green Construction can help advise you on how you can make your house feel bigger and make the most of your garden.